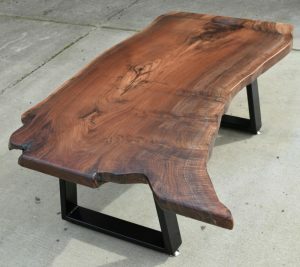 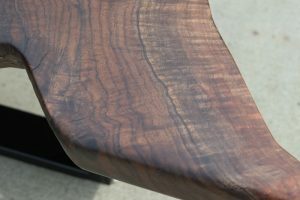 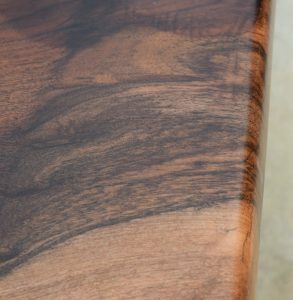 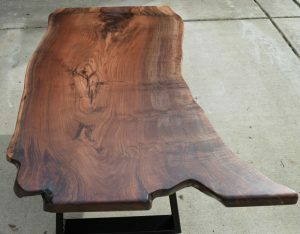 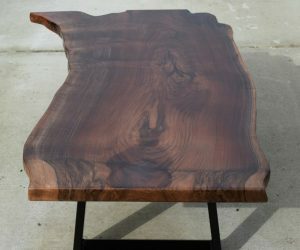 We built this gorgeous coffee table from one of our salvaged Claro Walnut slabs. 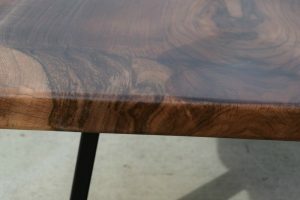 We filled the cracks with black epoxy and sprayed the top and bottom with a 2 part conversion varnish. 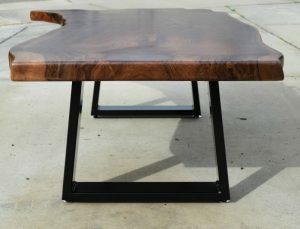 The top sits on our tapered sled style base made from 1/8″ steel that we powder coated black.